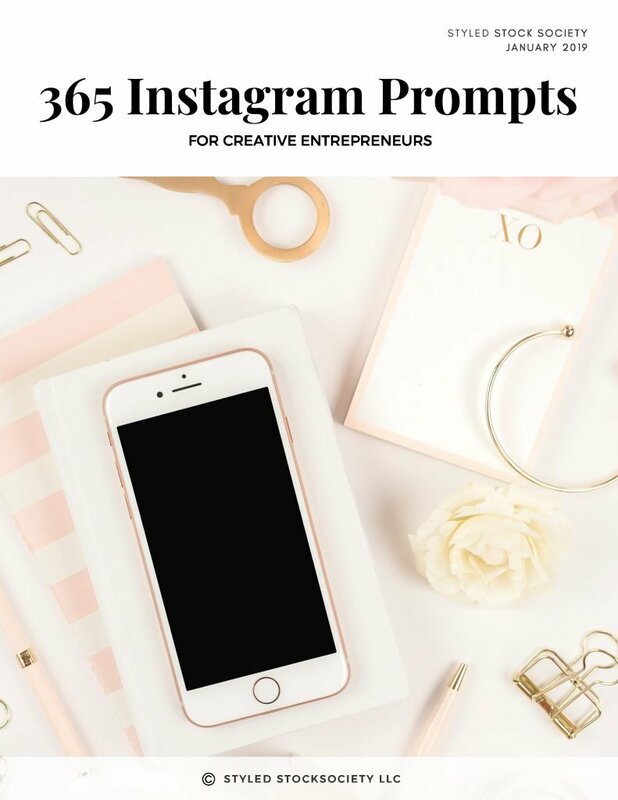 This guide includes 365 prompts for what to post on Instagram so you never have to stress about what you should be posting again! – Perfect for creative entrepreneurs (both service-based and product-based) who want to use Instagram to market their business. – These prompts are organized into categories including: All About You, Playing Favorites, Behind the Scenes, Market Your Business, Client / Customer Features, Grow Your Engagement, Weekly Series, National Days. – Captions are meant to be customized to you / your business and many can be used over and over again to give you years worth of caption ideas! – Prompts are ideal for use on Instagram, but can also be used on other social media platforms! 1) Introduce yourself! Tell people what you do, who you serve, and any fun facts that new followers should know about you right away Pro-tip: don’t assume that your followers know who you are! Periodically re-introduce yourself to followers as your account grows. 32) Share how your prep for the work week – Do you meal plan? Do you create your to-do list on Sunday nights? Do you use a paper planner or keep things digital? 105) Let someone on your team do an Instagram takeover to show what a day in their life is like. Pro-tip: this works best on Instagram stories, but you should announce the takeover in a post so that your followers make sure to watch it! 134) Show how your product / service could be the perfect holiday present or the perfect investment for a particular time of year. 164) Ask a “this or that” question – this is an easy way to poll your audience, get feedback, and get more engagement. Pro-tip: use the poll feature on Instagram stories to do quick surveys!